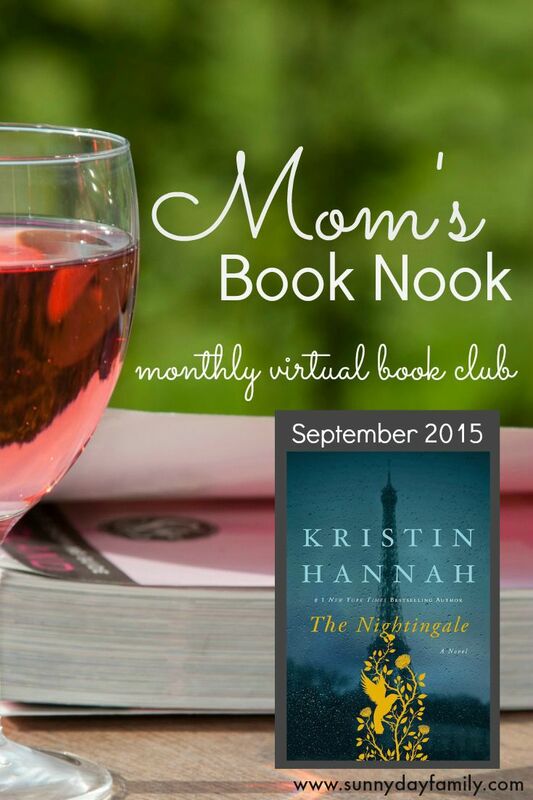 It's time to announce the Mom's Book Nook book choice for September! I've been having so much fun getting to know some of you and chatting about great books online. If you haven't yet joined us for Mom's Book Nook, it's a virtual book club happening every month on Facebook - wherever you are, you can be a part of it (and you can wear your PJs). 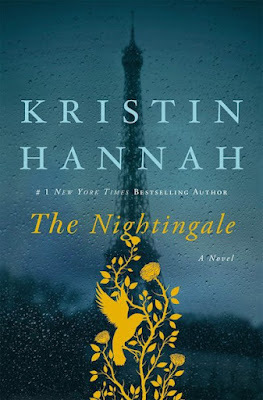 This month, my wonderful co-host Meghan of Playground Parkbench and I have chosen The Nightingale by Kristin Hannah as our pick for Mom's Book Nook. I'll admit this is the first of Kristin Hannah's books that I've read and it sounds really intriguing. The Nightingale is set in France during World War II. It tells the stories of two sisters, Vianne and Isabelle, as they each experience the war in their own ways and through their unique perspectives. This book focuses on the intimate details and struggles of a rarely told part of WWII history: the women's war. I'm really looking forward to reading and discussing The Nightingale with you. My grandfather was a WWII veteran and my dad was a big World War II history buff so stories of the war were very much a part of my life. I'm interested to see how the author brings the history of the war in France into the story of two very different women. Being a part of Mom's Book Nook is easy! Simply grab a copy of The Nightingale and then join Meghan and I on Monday, September 28 at 9:00pm on Facebook to discuss. In addition to great conversation, we'll also have a giveaway for a $10 gift card to Amazon or Barnes & Noble (winner's choice). Click here to RSVP! I don't know why I don't have much patience with novels with settings during the war. But I do hope I can get through reading this. Sounds like a great read. Even if you don't finish you can join us to chat! I'm just starting it myself.